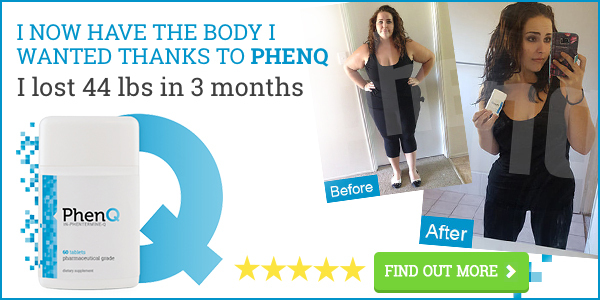 Weight Loss Programs Information Start Losing Weight Today! Alec Baldwin Fat Or Thin? Adam Richman Health Concerns Are In The Past! Kevin Federline Fat Or Fit Now? Home Weight Loss Articles Does A Ketogenic Diet Lower Cholesterol? Does A Ketogenic Diet Lower Cholesterol? Let’s start when I was a young lad in college. As an exercise physiology major, I was required to take nutrition classes. One of the things I remember most was the repeated emphasis on how bad fat was for you and how it leads to heart disease. Eggs were the devil. Never eat the yoke! Coconut oil is the unhealthiest food on the planet! And on and on. And of course, we were all programmed to believe that fat in our food was giving us heart attacks! No wonder we avoided it like the plaque (and many still do). Unfortunately, I spent the next 30 years following this advice and spreading it to others along the way, including thousands of impressionable 14-15 year old kids in health classes. But of course, all those teachers (including me) were wrong. And our government lied to us….again. The “low fat is healthy” mantra has been accepted and applied for decades while low carb-high fat diets like Keto has been laughed at and ridiculed. The Keto Diet has recently gained massive support for its healing and weight loss properties. The ideas on cholesterol and fat relating to heart disease have suddenly been reversed. It turns out that not only is saturated fat not bad for your health, it is good! Did you know that the Intuit (Eskimos) have the lowest rate of heart disease on the planet and eat a diet that is 75% saturated fat? Cholesterol is one of the most misunderstood things in the universe. We have been programmed to believe it is evil and causes clogged arteries and heart disease. The truth is it is not inherently bad and is produced in the body (liver) for a reason. It has many positive benefits including helping the body repair and reduce inflammation, and supporting the immune system. There is no reason to freak out over lipid profiles. A high total cholesterol number doesn’t mean you are headed for a heart attack. In fact, 40% of people who have heart attacks have total cholesterol below 180! In addition, studies have shown that when total cholesterol is below 200, cognitive function is much more likely to be impaired in old age. I really only pay attention to HDL (good cholesterol), LDL particle size, and triglycerides. And I recommend that you focus on those also. Use the ratios and numbers found later in this article to get a true indication of your health. If your triglycerides are high, it normally means two things: your body is suffering from inflammation and you are eating too many carbohydrates, especially of the simple variety (cookies, breads etc.). If you HDL is low, you are not eating enough healthy fats. Try eating virgin olive oil, coconut oil, avocados, real butter, etc. So what about the question of a high fat-low carb diet like Keto raising or dropping the cholesterol numbers? Yes, The Ketogenic Diet Lowers Cholesterol! Research has demonstrated repeatedly that staying on a high-fat, low-carb diet improves your cholesterol numbers and lessens your chance of heart disease. If you follow The Ketogenic Diet for an extended period of time, you will find success, often dramatic, in your cholesterol numbers. If by chance, you see no difference or your numbers get worse, there is an underlying problem that you will need to investigate. Usually inflammation. Give The Keto Diet A Try and experience many health benefits including dramatic weight loss, gout relief, mental clarity, improved energy levels and more! You can read about my first experience with this diet plan here. Next articlePrecious Weight Loss – How Did She Do It? Does A Ketogenic Diet Cause Gout? Why We Should All Be Drinking! How Much Weight Did Star Jones Lose? How Much Does Valerie Bertinelli Weigh? Her Fat Loss Success! Kelly Osbourne Weight Loss-How Did She Do It? Weight Loss Programs Info is a free site that provides diet reviews and other weight loss related information. Please contact us with any questions or comments!